Why Do Eye Doctors Charge More for Contact Lens Exams? If you are requesting contact lenses for the first time, you must have a thorough evaluation to make certain you are a good candidate for wearing contacts. You will be interviewed to determine your individual and personal vision goals. You may only want to wear contacts for sports once per week, or perhaps you'd like to wear them daily for reading and close-up tasks. Because there are so many lens choices, a good physician will listen closely to your goals and choose the lens that best suits your lifestyle. Your eye doctor will perform several tests to evaluate your eyes for contact lenses. One important test is corneal topography, a procedure that maps out all of the different aspects of your cornea. Corneal topography displays results similar to the topography of mountains. Hotter (reddish) colors display steeper areas of the cornea and cooler colors (bluish) represent flatter areas. Because a contact lens rests on the cornea when inserted into your eye, corneal curvature must be measured precisely to ensure an optimal and healthy fit. Another important test is the slit lamp examination. While this test is performed during a regular eye examination, your doctor may spend more time doing a slit lamp examination for a contact lens wearer. Occasionally, medical eye problems are identified that need to be treated before continuing on with the fitting. After discussing various contact lens options, actual diagnostic contact lenses will be placed onto your eyes. Your doctor will then perform another slit lamp examination to determine if a particular lens fits correctly, ensuring proper movement of the lens. A visual acuity test will then be performed to determine how well a contact lens corrects your vision. If you've never worn contact lenses, you will be taught the proper way to insert, remove, and disinfect them. Most eye doctors will place extreme importance on hygiene, cleanliness, and disinfection. Your doctor will probably allow you to wear the contact lenses for a week and then return for a follow-up visit. At the follow-up visit, your doctor will reassess the contact lenses and solve potential problems. Either a new lens will be tried or the prescription will be finalized. If your vision and comfort are not satisfactory, additional follow-up visits may be ordered. Some types of lenses, such as toric lenses for correcting astigmatism or multimodal lenses for correcting presbyopia, tend to take more time to achieve a perfect fit. Fitting contact lenses is both a science and art that requires a certain level of expertise. The fees for contact lens evaluations and management usually range between $15 and $160 above regular comprehensive eye exam fees, depending on the type of contact lens required. 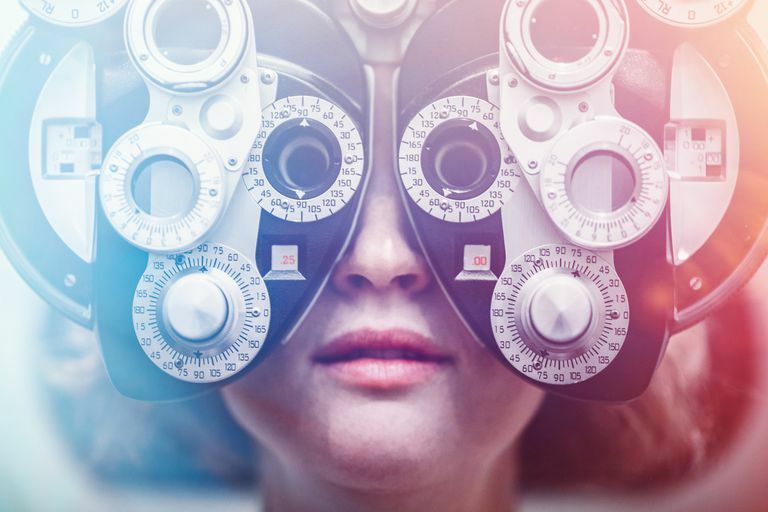 Time and additional visits, special tests, and a doctor’s expertise are things that are usually not part of a regular comprehensive eye health and vision examination. Eye anatomy, eye health, individual goals, and prescription-type make contact lens evaluations and fittings different for every patient. Why Does a Contact Lens Prescription Expire? Can You Keep Contacts in Tap Water?